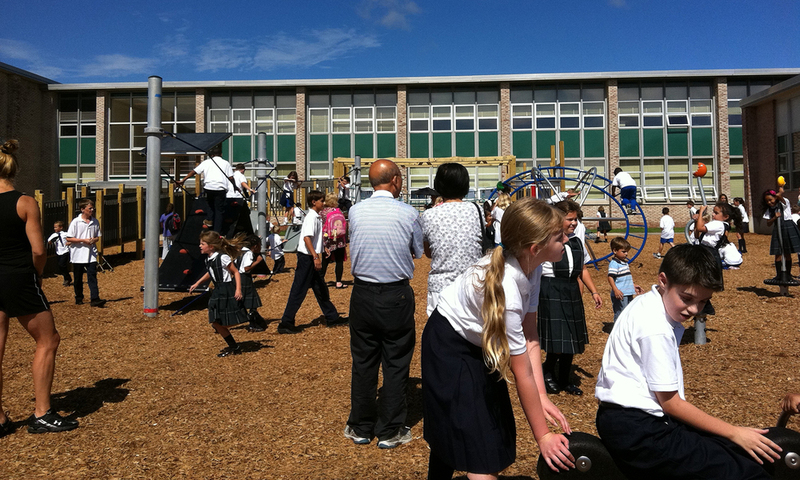 During the summer of 2011, LTL Architects worked collaboratively with community representatives from the Bridgeport Diocese to design a curriculum-based playground, that integrated the study of science and energy with daily play. 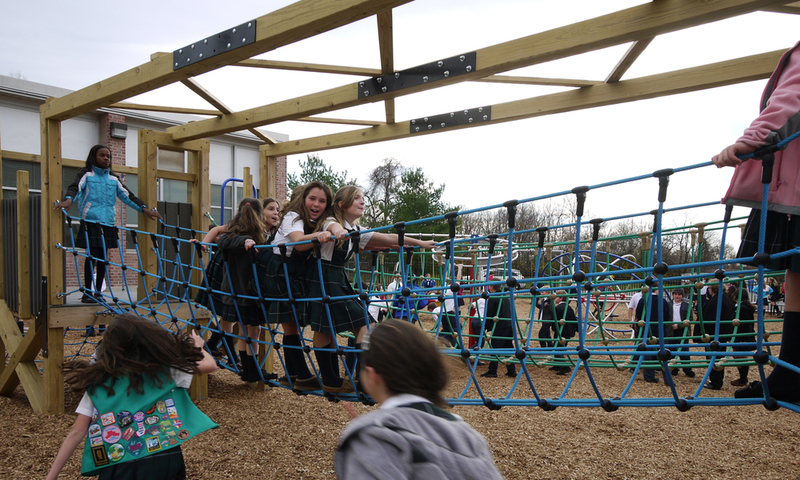 This project, called The ASCS Science and Energy Park “E3”, created a new 8,000 square foot playground for a K-8 school, where students could learn about energy, power, and the environment through engagement with custom designed and selected play structures and equipment that were tied into the school’s science curriculum. Work in collaboration with members of the school community, led by parents Amanda Gebicki and Alison Reilly, LTL Architects developed the master plan for the playground, informed by understanding how kids play and interact. Combining unique custom elements, physical science mechanisms and alternative energy components, including solar panels, rain harvesting systems, hydro-electric exhibits, wind turbines and piezoelectric tiles, e3 Smart Park excites, educates and engages children while driving advancements to Federal and State Core Science Curriculum. “A Genius Idea” EDC. May 24,2012.